Moda Academy offers online courses in Digital Marketing, Inbound Marketing, Social Media Marketing, Email Marketing, Search Engine Optimization (SEO), and more from Certified Industry Experts. Learn the strategies and tools leading industry experts use to establish and grow their online presence, and how to effectively implement strategic digital marketing campaigns in your OWN business with our on-demand courses for Digital Marketing. For many, Facebook is the internet. That said, is your business taking full advantage of it? If you take a look at the social media giant, this social platform sees more than 1.5 billion daily search inquires from millions of users who are actively searching for information about the next company they’ll do business with. Your company could be exactly what they’re looking for but, how do they find you? The Path to Becoming a Facebook Expert starts with a business page. From there, understanding how to get likes, post types, implementing a marketing strategy, analytics and advertising are the fundamentals to see success in utilizing Facebook for your business. Our instructors are Certified and backed by years of experienece working in various Digital Marketing fields. Moda Partners is a modern digital marketing agency accredited through partnerships with HubSpot, Google and others. We take our knowledge, resources, tools and services that we implement for our clients relaying that to our students. 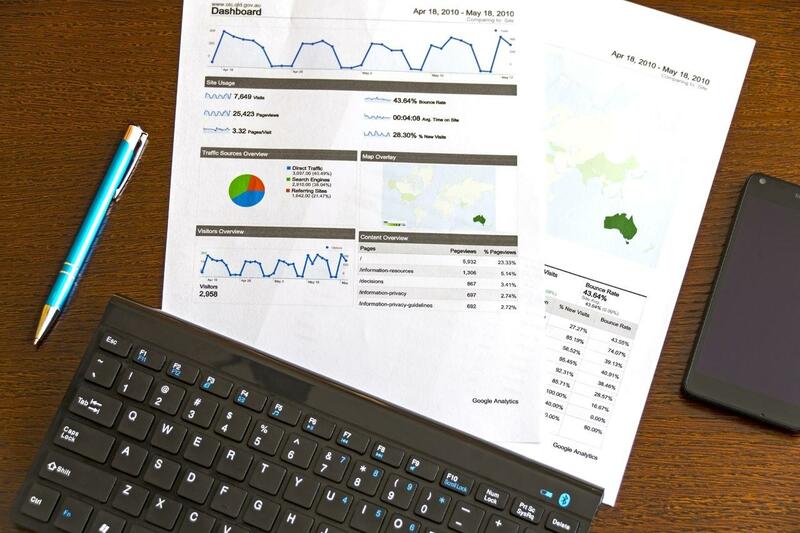 Learn the tools marketers use to effectively implement strategic marketing campaigns through public workshops (at a local city near your) or private corporate training sessions customized for your industry and business goals. Speak with a member of the Moda Academy Team to learn more about training sessions for your company or to find out about workshops near you. Moda Academy simplifies digital marketing. 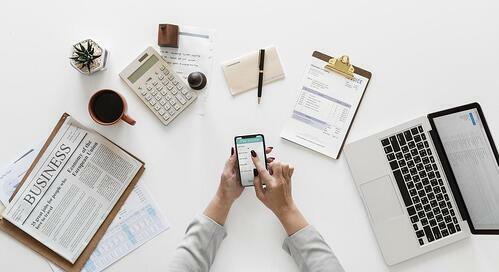 Whether you are a budding entrepreneur establishing your digital presence - or a marketer trying to keep up with the fast - paced digital landscape, Moda Academy offers tools, resources, templates and workbooks to execute and organize your digital marketing efforts. Learn the strategeies experts use to get new customers and remarket to past customers transforming them into loyal fans. Start growing your business today with this FREE ebook! Founder and Marketing Director of Moda Partners and Lead Instrcutor for Moda Academy. GeoLyn carries nearly 20 years experience in sales and marketing and over 10 years of experience in the startup and entrepreneurial space. 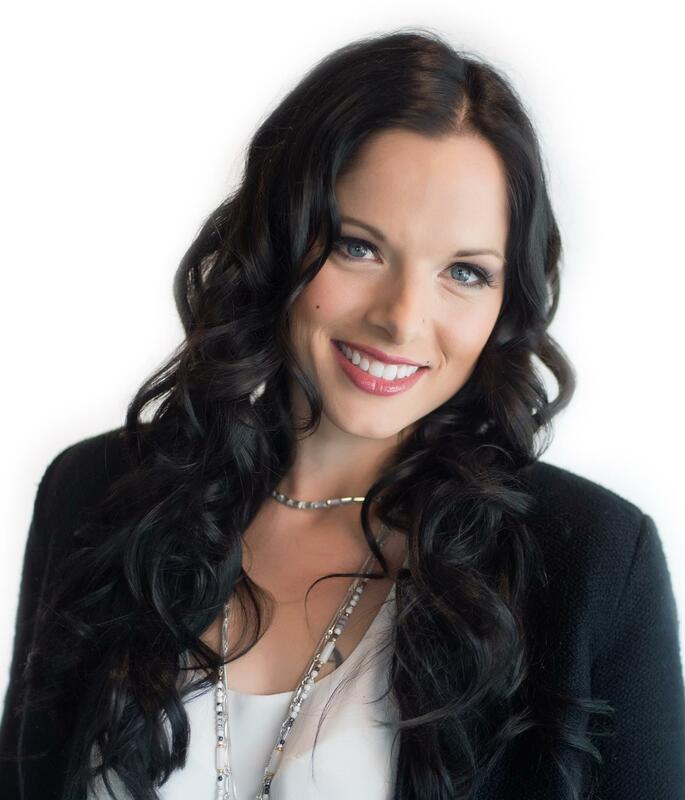 She knows all about the ups and downs of being a business owner, trusting your gut and stepping outside your comfort zone and into success in the digital world. "It's tough to stay up to date on social media trends and updates. 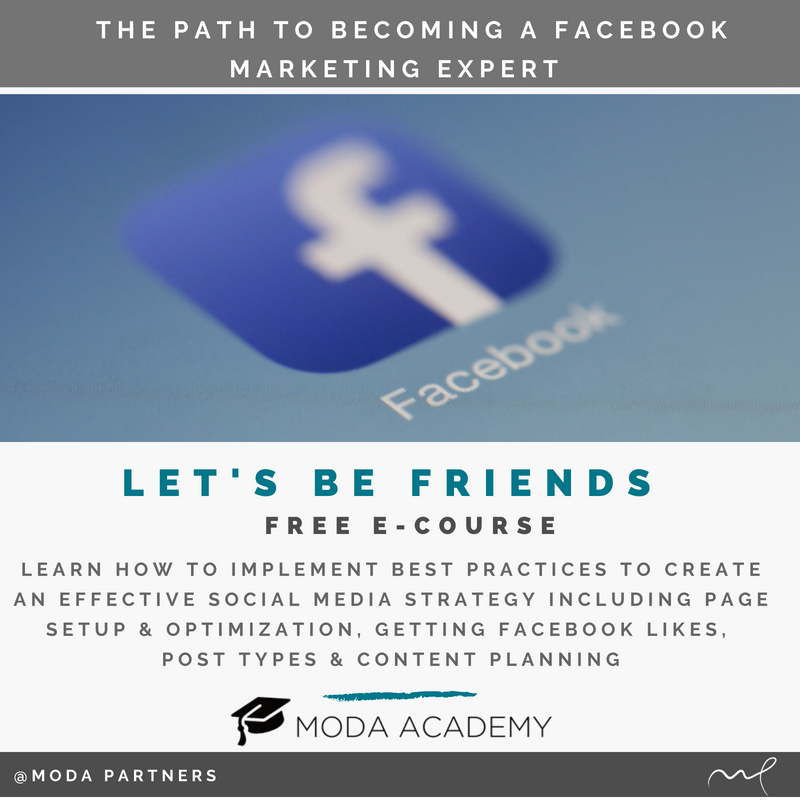 Through Moda Academy I was able to sharpen my skills to grow our social media presence with the tools and resources to make my job a little easier. " Digital marketing can be overwhelming but we are here to help you. If you're not sure which class or resource to start with or whether one on one training is right for your business, fill in this quick, FREE assessment form and a member of our team will be in touch within one business day to help point you in the right direction.